Today we’re headed downtown for a concert, and I can’t wait. It’s going to be performed by the Pennsylvania Girlchoir (Ya-Jhu is pianist, my goddaughter Abbey is one of the singers). One of the pieces, “When I Am Woman” was written by the very talented composer Andrea Clearfield. Andrea has a special place in my heart because she was so encouraging to Sheridan when he was younger (his pieces were performed at her monthly Salon quite a few times when he was in his late teens). Looking forward to a great musical experience! When Rose was a young teenager, she sang with the Temple University Children’s Choir. Again, I always loved attending their concerts, because the songs were beautifully written and performed. There’s something about good vocal music that really speaks to me. Every week I look forward to hearing our church choir sing, and I am aware of how lucky our congregation is to have such a terrific group. I also love going to the opera, infrequent as these opportunities are. 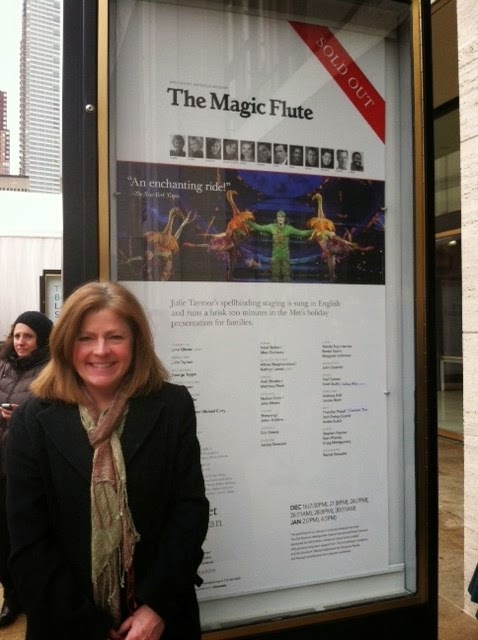 Last December, Sher and Yaj gave us, as a Christmas gift, tickets to The Magic Flute at the Met in NYC. Delightful. So with this background of intense music appreciation, why don’t I like to sing? Part of it surely is my lack of training. I can only take a stab at reading music (and the wound is usually fatal). I have zero breath control, too; by the end of the first verse of “A Mighty Fortress is Our God” on a Sunday morning, I am panting as if I’ve just run a 5K. The other, honestly, is intimidation. I am surrounded at home by so many solid musicians that I really hesitate to open my mouth. Indeed, the only times I remember being comfortable crooning were when I sang silly made-up songs to my babies (“PJ Sparkles” and “Julie Boolie” were big hits). The kids have been very sweet at their last few Christmas concerts, and given me small singing parts. Luckily, teamed up with them, my shaky warbling faded into the background for the most part. I am already stressing about Holiday Concert 2014, and think I would be rather relieved if I just sat in the audience instead. I believe it’s a mind-over-matter thing with me, this vocal phobia, and I’m determined to conquer it. Who cares if I don’t sound fabulous? At least I have decent pitch (or so I’ve been told) so my solos have never been complete train wrecks. 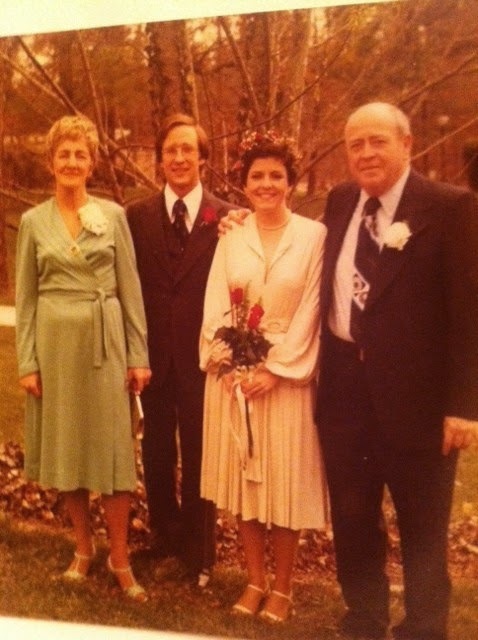 So what if Rose brought down the house in 7th grade singing “Your Daddy’s Son” from Ragtime, while I didn’t even make the cut at the 1973 St. Pius High Talent Show (remember “Killing Me Softly”? My killing, alas, was not so soft). I need to lighten up! I too can make a joyful noise! There’s a wonderful children’s song that says “All God’s Critters Got a Place in the Choir.” I need to remember that, and let this critter take her place. Several years ago, I wrote an essay about my manic party preparations. I described the Extreme Home Makeover that I attempted every single time someone was invited over. I meant it to be funny, but alas it was all true. I did indeed become the Maid from Hell; I was indeed always too pooped to enjoy my company. Some of my attitude stems from my childhood. 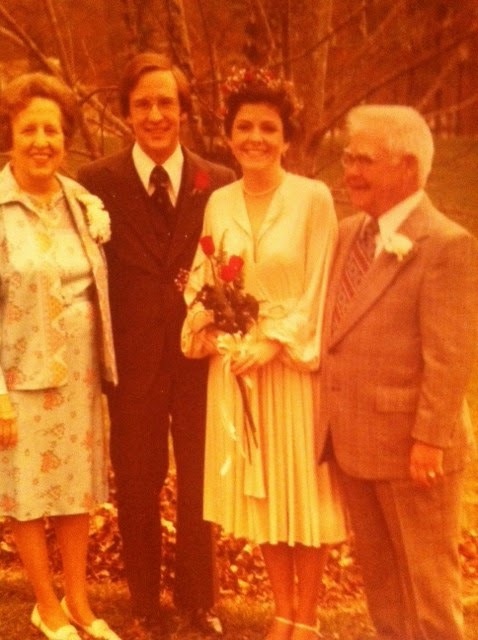 Both Mom and Dad were pretty messy people, from the ashtrays always full of cigarette butts, to the dishes piled in the sink, to the laundry that never got put away. I grew up in this chaos, and never learned anything about keeping house. I still remember the panic I'd feel whenever the doorbell rang, as I'd frantically kick all sorts of random stuff under the sofa or into the closet on my way to answer. We never, as far as I can recall, had anyone over for dinner (if we had, they would, like us, have had to plop in front of the TV set with a plate of fish sticks.) I knew most of my friends did not live like this. Their furniture was dusted! Their moms were always whipping up homemade breads and soups! There was no random stuff to kick out of sight when company came!! When Steve entered my life, I'm sure it must have been a shock for him. His own parents were total neatniks (even while raising five kids). Leona ironed the sheets! Phil catalogued all of their photos and home movies and souvenirs of every family trip! And here was Steve, about to marry a woman who wouldn't know a floor mop if she fell over one!! Aiden invites you to join him! Over the years, my cleaning habits improved markedly (even while raising my own five kids). We divied up the chores, and by and large it all got done. But at some point, "clean-ish" was not enough for me, especially when entertaining. I remember trying to converse with a very interesting guest, all the while staring, horror struck, at a major cobweb I'd missed earlier. It was all I could think about, and I was sure he was registering the web-festooned corner with utter disgust. Now we have Yaj and Sher and Aiden living with us, and my point of view has gradually been changing. They are ever-gracious hosts, and invite their friends to dinner on a frequent basis—and I don’t notice them having heart attacks beforehand. And me? I still make a sweep for cobwebs, and do my best to tidy up on a daily basis, but I am no longer hesitant to invite friends to the house on short notice. So what if the dining room features boxes of Evan's rice, pasta and spices from his old apartment? 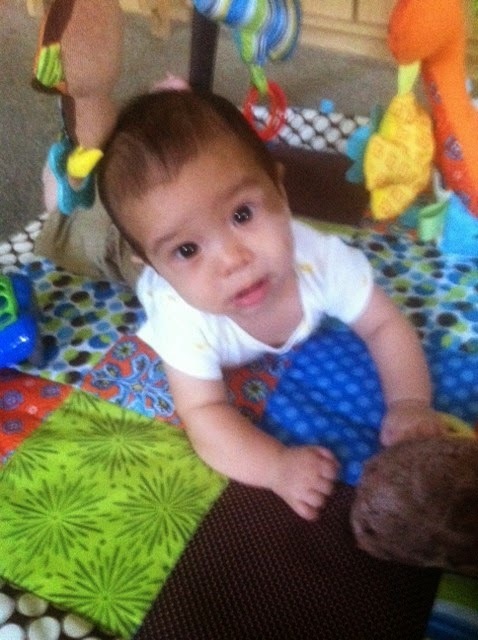 Does it really matter that baby Aiden's play mat is out on the family room floor in full view? I’ve missed out on the fun part of company for too many years. So…It's party time, and you're all invited!! !